Subdividable Acre in Morgan Heights area of Grandview. Approved for 4 Building lots. 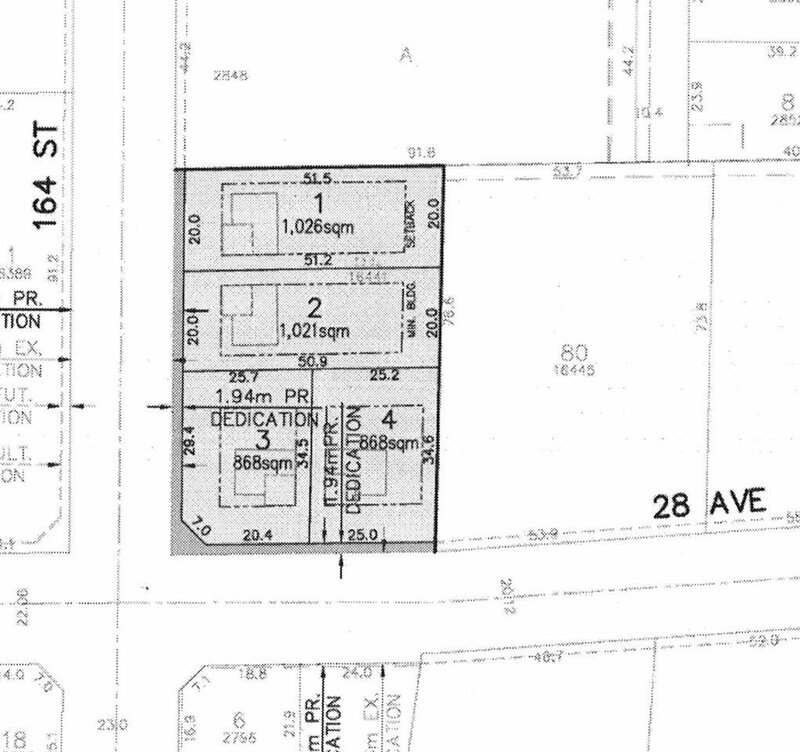 2 lots facing 28th ave are 9,343 sq/ft and the 2 facing 164th are 11,043 sq/ft and 10,990 sq/ft. PLA is ready with service agreement ready to sign. This site is ready to go and homes could start construction this Summer.